We invite you to visit the Eastern Shore of Virginia. to a theatrical performance by the Eastern Shore Madrigals. While visiting the Eastern Shore of Virginia you learn of the many talents of its residents. It has been said that the Eastern Shore of Virginia is an artist's paradise, in more ways that one. There are Eastern Shore wildlife artists, carvers, professional photographers, and writers, just to mention a few; but what is amazing is the talented musicians, singers, theatrical directors, prop designers and all that it takes to develop such professional performances as those done by the Eastern Shore Madrigals. The Madrigals perform twice a year just a few miles from the historic community of Onancock, Virginia. Their performances are held at the Nandua High School Auditorium which has a seating capacity of approx. 535 persons. 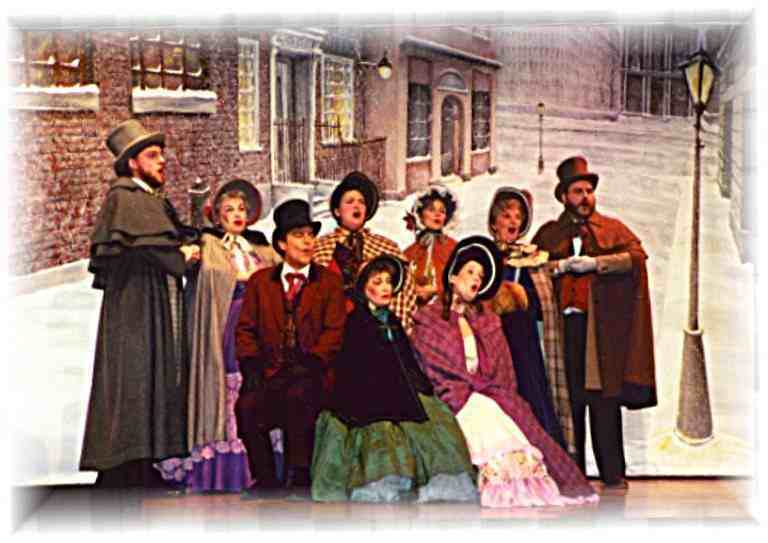 The December '99 performances were sold out. There was standing room only in the auditorium at Nandua High School. 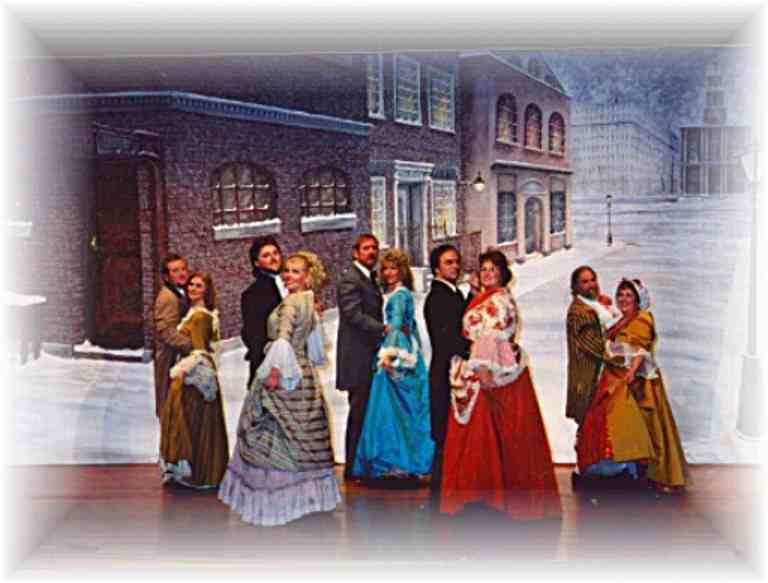 It is suggested that residents of the Eastern Shore of Virginia and visitors, alike, obtain tickets for upcoming performances as soon as tickets become available. As each year goes by, these performances are becoming more popular and sold out performances are now, not, uncommon. 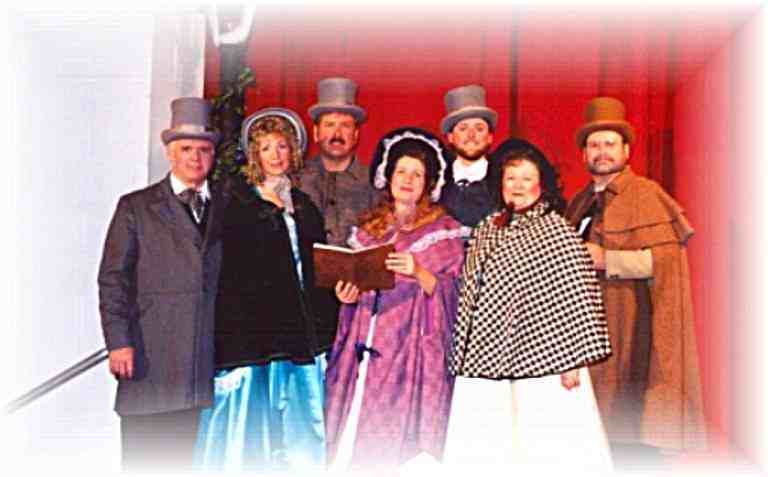 Spring 2000 performances are currently listed on the Eastern Shore of Virginia Guide and on our home page. 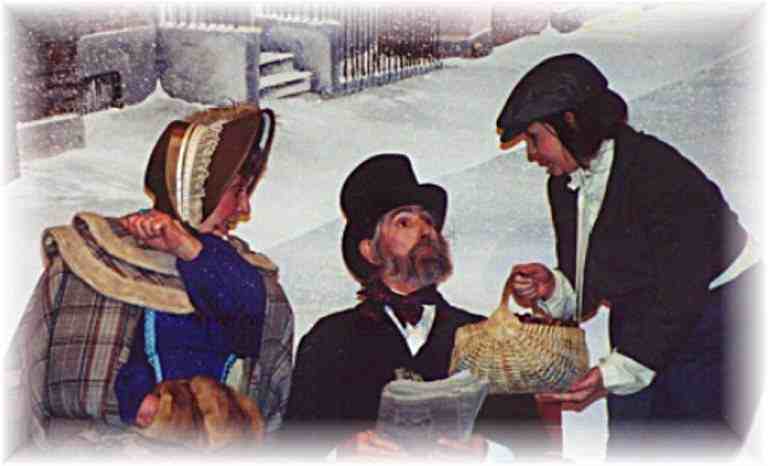 There was a comment made at the December 1999 performance of "Scrooge", The Stingiest Man in Town as follows, "I've attended many Broadway plays and this performance today is as good as I have ever seen. The performers, the lighting, the stage props, even the costumes, all were excellent. It could not have been any better." ©http:// www.chesapeakebaysampler and/or esva.com All Rights Reserved. permission of Virginia Taylor and/or Paulette Allen.